Smartphone App development whether it be Android, Windows Phone or iOS one, is currently believed to be a job having a pretty decent money making potential because of the enormously large number of smartphones present and their super-fast expanding rates. While the involvement of the money making scenario in this field typically refers to paid apps, there’s this type called as the Freemium Apps. The word Freemium gets its meaning from two words Free and Premium. A Freemium App is free to download and use, but in cases the user eventually gets to pay so as to acquire the Premium content and even if he doesn’t do that, you get paid anyhow. The general trend observed in people’s psychology makes it very clear that people tend to buy or upgrade free apps rather than buy an already paid app. This, makes this Freemium technology a legendary one. 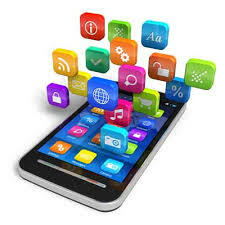 Monetization finds its best applications in such apps or rather monetization is one way of defining the word Freemium. 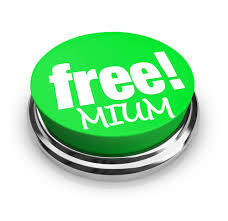 Making your app free vouches for its high download rates and the monetization strategies help you get the dough for your efforts put.The word Freemium gets its meaning from two words Free and Premium. A Freemium App is free to download and use, but in cases the user eventually gets to pay so as to acquire the Premium content and even if he doesn’t do that, you get paid anyhow. 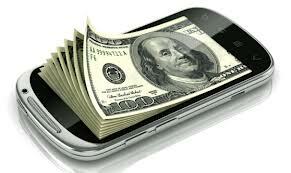 Monetization finds its best applications in such apps or rather monetization is one way of defining the word Freemium. Making your app free vouches for its high download rates and the monetization strategies help you get the dough for your efforts put. Marketing is one field where there is always a lot of money involved because of the large amounts being spent by the various companies. 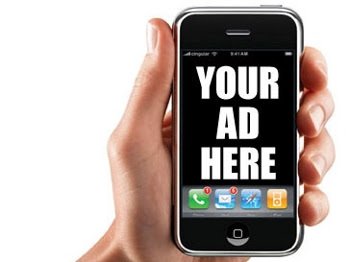 You can become their marketing channel by running their advertisements on your apps. This will be irritating to the user but will get you money. This is by far the most used technique. You can offer a limited features version of your app for free and later ask the user to pay to get the complete package. The user will try the available features and if they seem nice to him, he’ll pay for the full app. You can also disable the various important features like saving the full resolution image in a Camera app and ask the user to pay to get that, he’ll surely do that then. Offering a full version of your app that will expire in some time unless of course if the user renews the subscription is also a great monetization strategy currently in use. Apps like WhatsApp use this technique. You can use the app for free for about one year and then will have to pay to get another year. Displaying advertisements on your app which provides limited features to the user unless if the user pays, which will also remove the ads, also doesn’t seem bad. You can try any good combination to get the most out of your app. Depends! The type of app you make tells which strategy you need to use. If it is a simple and straight forward app with not much functionalities, just displaying the ads would be fine because the user will never actually pay to get the app. If your app is a complex providing extensive features, you might think about providing less functionality in the free version and make a paid version of the app. Displaying ads on the free version would also be fine. However, if the app you make is simple yet really addictive such that the user cannot simple let go of it, adding up the proper subscription packages would be a good idea. What you must never forget is that the quality of your app matters the most. Nobody’s interested in a useless and boring app. Don’t just aim for getting the money, look for providing good quality features and facilities to the users so that your earning money out of your apps with such a less effort put, is also somehow justified. 3 Major Issues Related to Android Development: How To Counter Them ? How To Make Your Mobile App Standout?